Tuscany - (100% race horse ownership available). All weather and turf flat horse. 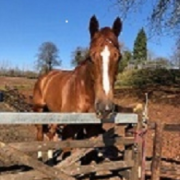 Mooroverthebridge - (25% race horse ownership share available). Please contact me on 07912359425 or send me an email to find out more information.